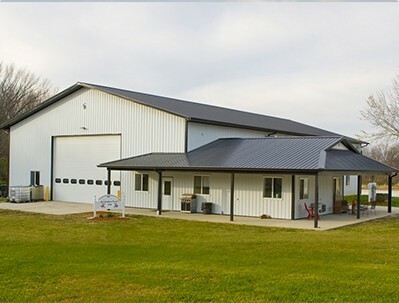 Greiner Buildings won first place in the agricultural workshop division with Chris Ball’s 60′ x 104′ x 18′ lined and insulated building. Chris and Keith Ball, owners of Ball Brothers Farms, are a couple of southeast Iowa’s most respected farmers. 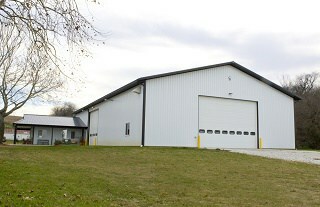 Their hard work, dedication, and success has allowed them to build this wonderful new shop & office facility. 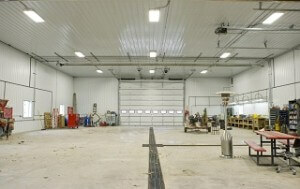 They used premier products from many NFBA member suppliers. 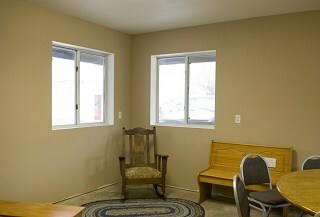 They also used advanced modern day post frame methods such as wrapped posts and Kynar paint. PostSaver wrapped posts were used to prolong post life while maintaining the strength advantage of posts in ground and protecting the environment from contamination caused by leeching of treatment. Kynar paint considerably slows chalking and fading. Insulated trench footing increases energy efficiency for the entire building. Post frame construction was the perfect option for this project because it offered design flexibility at a competitive rate. Such design choices as the porch construction with the Dutch hip would have been less feasible with steel. Also, the height of the shop would have been difficult with studs.